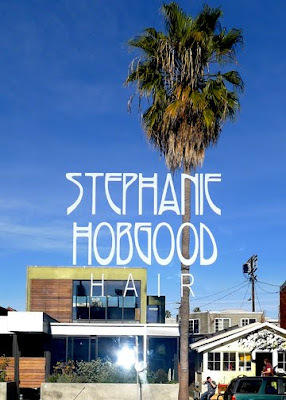 Blogtown: Stephanie Hobgood Hair Grand Opens on Abbot Kinney! Stephanie Hobgood Hair Grand Opens on Abbot Kinney! New Year, new endeavors! I'm so happy and proud to report that my BFF, Stephanie Hobgood, is opening the doors of her very own private hair studio today on Abbot Kinney! 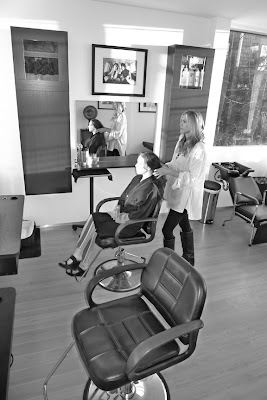 After living and working in Venice for years, then switching over to Sunset Plaza (in between styling the locks of you name the celeb, all over the place), she is back in the neighborhood for real, with Stephanie Hobgood Hair. The very first time I walked in the light, airy bare space to just check it out with Steph, I immediately said, "This place has good vibes." It does. One whole wall is windows looking out toward the sunset sky over the beach a few blocks away. The rest of the room feels exactly like you're in the room getting done up before you head out to the set of a late night show. Steph has Henry Diltz rock photos around the room, because she is rock, and you can feel the Venice of the place as you look at The Doors walking down The Boardwalk back in the day. Black and White and Metal sums up the interior, but the warmth of Steph and the bright sunshine cozy the place right up. But what you're really here for is the best hair cut/color/style of your life. Stephanie has been in the hair biz a long time, and has a loyal clientele. Over the years, many of these clients have become friends, and it is so exclusive and private now (Just Steph! ), that it will be like going to your friend's pad to get your hair done and talk and chill with total anonymity ("It's like therapy! "), and without the hubbub and noise of a busy salon. Steph is so on the go, moving and shaking, between red carpet gigs for Oscar nominated actors, extreme sports heroes, etal ..., magazine shoots, special events, film festivals/junkets and all of that, that her schedule is always changing, and having her own space now allows her to take control of her own environment, and booking (by appointment only!). It's the perfect set-up, and she made it happen. The location is so great for people hooking up a day of beauty too: the front space is Alexandra Wagner Skincare for you to get a facial. Next to her is Lavish Tan for a spray tan. Next to them is Kelley Baker Brows - the best. And now, in the back space is Stephanie Hobgood Hair, Ta DAH! You could walk in the front door, work your way back, and emerge out the back door looking the best you've ever looked. Try it! Steph loves Venice, and a real perk of her new studio will be bringing her little Boston, Nico, with her to work, looking out at the tangerine sunset, and then loading Nico into her bike basket and heading out for a post-work day breath of fresh air. Dope. 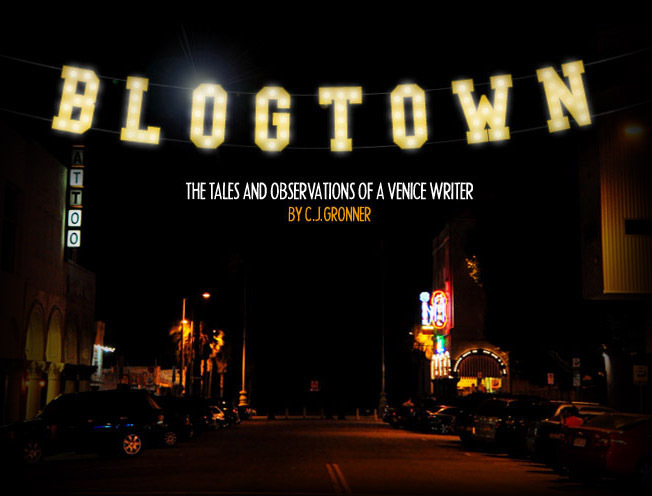 She loves the Abbot Kinney neighborhood and all its creative excitement. When I asked her, Why Venice? She shut her eyes and smiled and said, "Venice is my Homegirl." Stephanie is MY homegirl. Who I couldn't be more proud of and excited for. If you would like her to make you look all hot, and have it done in the coolest rocking space, call for an appointment now, before it gets as busy as it's going to. New Year, new looks! Cheers & Congratulations to my hair do-er, and dear, darling friend!!! Wow. Yay Steph!! The pics look beautiful! Need to come by in person to check it out and play with Nico! Felicitations Stephanie!!! Your Hair Salon is gorgeous. Can't wait to see you again. You're the best! Happy 2012 for you! Nathalie, from Valley Village.